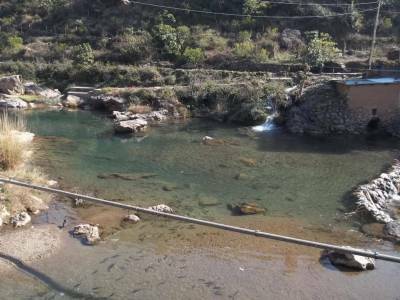 Shiv Khori is located in the Reasi district of Jammu and Kashmir about 70 KM away from the Vaishno Devi City of Katra. According to the Hindu mythology Lord Shiva only appears in his ambiguous and inebriated form in front of his devotees, thus the lingam. The concept of limitless or infinite power is the very significance of this lingam. The legend tell a tale that a naturally occurring lingam is the very much synonymous to self appearance of the great lord. 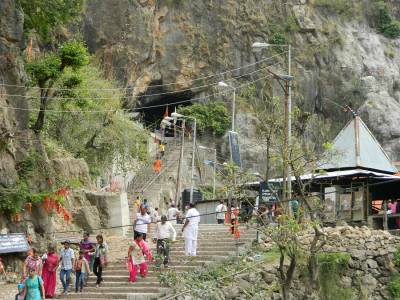 This is the reason for the fame of cave shrine of Shiv Khori. The cave is itself the temple which is a natural wander in itself. It is shaped up like the Damroo or the musical small drum of lord Shiva. The natural wonder of the cave keeps piling up the myths with utmost evidences. The Shiva Lingam of Shiva Khori is a natural born stone places at the centre of the half of a kilometre long cave, designated as the inner sanctum. 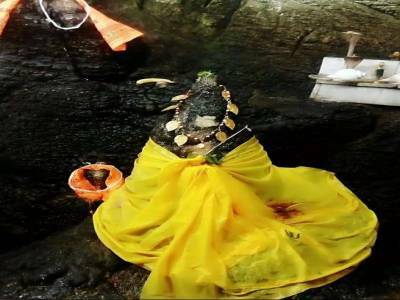 There is a unique capillary system in the walls and ceiling of the cave shrine that allows dripping of milky white water continuously on the Lingam, representing perpetual milk bathing of Lord Shiva. This is celebrated as the perpetuality of life in the form of never ending Ganges River. 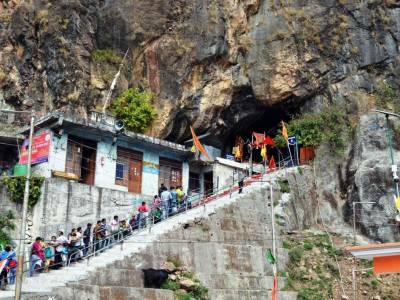 Shiv Khori remain congested with travelers and tourist all round the year, especially during Maha Shivratri, as it is very easy to reach via roadways which are connected to cities like Jammu & Katra, Hire a private or share Cab/Van is the best way to reach the Shiv Khori. 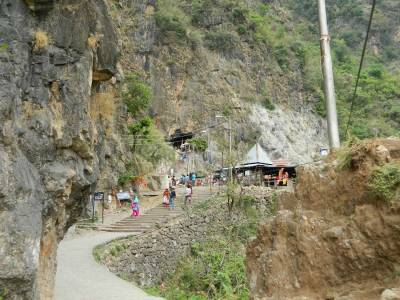 Get quick answers from travelers who visit to Shiv Khori Cave Temple.